"Pat was such a role model, for the entirety of her life. In..."
"Aunt Pat was always an inspiration to me. She was a do-er..."
"Pat was an inspiration to all; a beautiful person inside..."
Born in Rochester, NY to Jesse (Sheldon) and George E. Short, a commitment to education and community defined her life. Fiercely independent, Pat took Sinatra's lyrics "I did it my way" to heart. She graduated from Madison HS (at the age of 16); received her BA: Education from Brockport State Teacher's College (at age 20); then taught in the Rochester Public Schools (41-47). In '47, Pat married Warren R. Kluge and moved to Tonawanda, NY where she enjoyed a respected and fruitful professional career in the N. Tonawanda Public schools (35 years). After retirement, Pat pursued other passions - travel and dance. 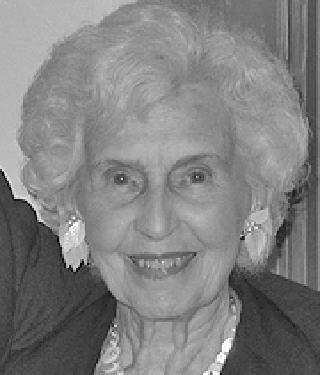 An avid volunteer and supporter of the arts, Pat donated her time and money liberally. In 2008, Pat moved to Colorado Springs, CO. to be closer to her daughter, Mary Ann, embracing her new community with the same "joie de vivre" she always had. "If you work on following Christian principles, that is enough," Pat said. "That has been a main goal in my life." Pat is survived by daughter, Mary Ann Kluge, son-in-law, Ken Sylvester, brother, Elliott, cousin, Gwen Mabie, niece, Sandy Short-Barlett (Vincent), and nephews, Steven DeMallie (Maria) and George Elliott Short (Hilary). She was predeceased by her beloved sister, Audrey DeMallie, sister-in-law Christine Short, and nephew, Matthew Short. A memorial service will be held at the Chapel of Our Savior Episcopal Church in Colorado Springs 9/27/18 at 10 AM followed by a reception in the Parish Hall. Her family will transport her cremains to Mt. Hope Cemetery in Rochester NY to lay her to rest in the Short family plot. Donations in Pat's honor can be made to the Chapel of Our Savior https://www.chapelofoursaviour.com/.